Ready for 7 days of complete yoga classes? My friends, thanks so much for making our premier 7 Day Yoga Challenge such a runaway success. 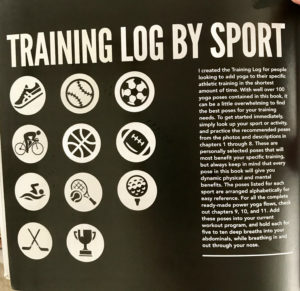 Your comments and emails have motivated me to do more of these unique and diverse programs. Let me know another 7 day challenge you’d love for me to create on my YouTube channel. Comment below! STOP: If you’re a total beginner to yoga start with my popular 7 Day Beginner Yoga Challenge. For ALL of my workouts (including hundreds of exclusive videos), challenges, forums and programs try out my complete online training platform, Sean’s Vault FREE for 2 weeks! Here’s your 7 Day Yoga Challenge. Make sure you ‘check in’ (with photos too!) each day on your social media, Donate to support Sean and TAG me #seanviguefitness and @seanviguefitness. Thanks! Enjoy and keep me posted on your progress by checking in EVERY DAY! 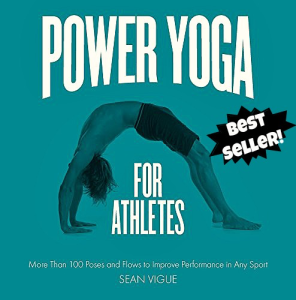 I wrote Power Yoga for Athletes so that EVERYONE – total beginner to the seasoned athlete – can easily and effortlessly learn over 100 yoga poses, 25 complete flows and use the training log to plug in the proper yoga poses for each sport and activity. Click the photo below and order your very own copy (or 6!) and have it delivered right to your door. It’s also available wherever books are sold including Barnes&Noble, BooksAMillion, eBay, Target, Wal-Mart and many more! If you already have your copy please leave a (hopefully nice) review of the book on Amazon. Thank you so much for your support of my work and I look forward to training with you! I leave comments on your FB and YouTube postings but thought I say hey here. 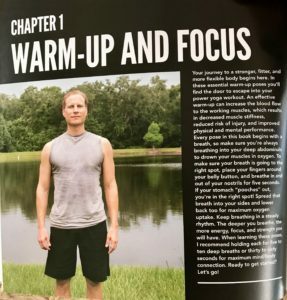 I’ve been a weight lifter for 25 years but since 2017, I tried your workout routine-Power Yoga. I tried it because I thought it would be harder than the typical yoga which I always thought it is too slow pace for me. I am a fan of 60 or 70 min long sessions but also love short ones! I use your session on YouTube as my second workout of the day. I hit the gym at work on lunch hour, get the cross fit and weight training out of the way and do your power yoga at home. I’m 56, and 107lbs. I’ve moved up from 102 that I’ve been all my life but I am fit, not skinny. Workout is way of life and it should be. People always think I’m 15 years younger and when I tell them my age, they don’t believe me! But most importantly, I have no body aches period as many of my peers at my age do. Great pay off! Staying fit is a way of life! Thanks Sean for reminding us every day! 😉 I’ll now try this 7 day power yoga and let you know! I have been with you for over 6 years, I think. I am 51, a professor and as far from being an athlete as imaginable and yet, I could do this challenge with you no problem, except fro jumps as I loath jumping. I used to hate my body as I am chubby but now I respect it because, although I still look pretty ridiculous, I can do it with you, I can do the same things and I am even more flexible sometimes. I am so grateful for your generosity. My only issue is that when I am back in Alaska I have no internet, so I would love to have a DVD or download for a fee but I am not sure I have this option. Thank you. Day 6 of 7 from 7 day yoga work out. You wanted know if this work was stuff for me. Yes!!!! You worked me out and I loved every minutes of it. Luckily I was a good day I didn’t get dizzy watching you jump up and down. Due to my ear concussion, I can move too fast because I get dizzy and fall down. My balance is bad. I stay at the the squad pose or the pose that you started at while you jump. When go fast, I just so do half. I was a power lifter for many years, had to stop due to an 18 wheeler accident. After getting back into working out using has fit, I learned I can’t move fast. I was getting dizzy just doing sit up and had to stop sometimes for days even weeks at a time. I tried your video. I loved it!, it was nice and slow movements that focused on the breath and movement. It perfect for what I needed! I started with the 7 day change several times, 2-3. I even saved your restoration work out for my stressful days. Thanks for the hard work out. I’m 56. This week I’m doing the 7 day core challenge and the 7 day power yoga challenge . Good workouts!